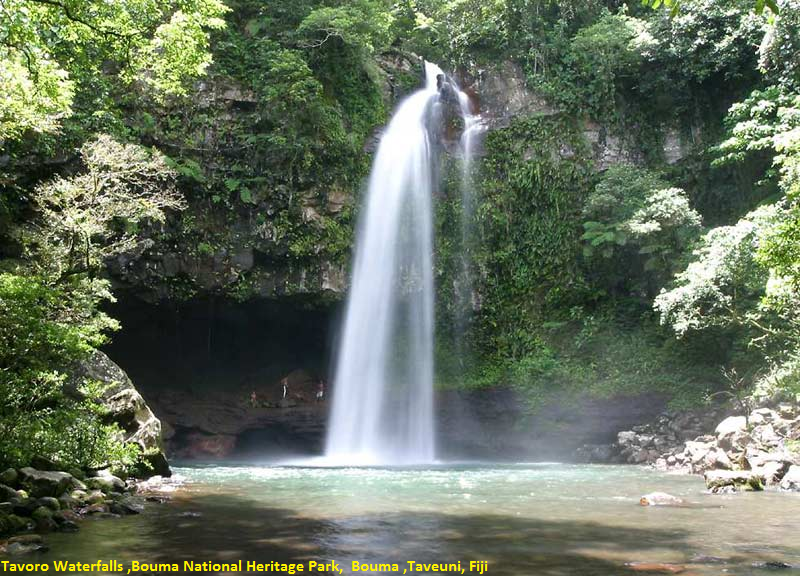 The Tavoro Falls are three waterfalls in Taveuni Island’s Bouma National Park. The lower waterfall, at about 80 feet high, is the biggest of the bunch. The middle waterfall, a 30-minute uphill hike from the first, is the second largest. It’s a somewhat strenuous trip but worth it for the fantastic views of the coastline and ocean. The trail started near the pavilion at the park entrance, and it is a pretty easy walk to the lower Tavoro Falls. Taveuni was living up to its reputation as “the Garden Island” here; this place looked like a tropical botanical garden. You will be amazed when you arrived at the lower Tavoro waterfall. Located in a spectacular tropical setting, it’s surprisingly large with a big pool at its base. The trail is more rustic and overgrown, and it involves a lot of clambering over slippery rocks and boulders. At best, it’s a long, slippery, and difficult trip, and people who’d gone were very divided on whether or not it was worth it. After it rains it gets even worse, to the point of being un-doble.